Chicago Bears quarterback Mitchell Trubisky was the second player taken in the 2017 NFL Draft, and he hopes a year of experience helps him perform on a level befitting his draft status this season. [post_ads]"The experience aspect and how to prepare day in and day out," Trubisky said on SiriusXM NFL Radio. "The grind of how long the season is, because you obviously don't get that from the college season. You add a bunch more weeks in the NFL in everything you've got to do on a day-in, day-out basis. The speed of the game, and how there's no weak spots on the other side of the ball. Everyone's a baller in the NFL. "You've just got to come prepared or else you're not going to be able to do your job correctly. I definitely learned a lot about how you have to handle yourself as an NFL quarterback and being prepared on a week-to-week basis and just being the leader my team needs. I've learned a lot over the last year, and I'm looking forward to using all that information and continue to learn and get better for the future." Trubisky is learning the offense installed by new Bears head coach Matt Nagy. Last season as a rookie, Trubisky started 12 games and completed 59.4 percent of his passes with seven touchdown passes and seven interceptions. The Bears went 4-8 in the games he started. 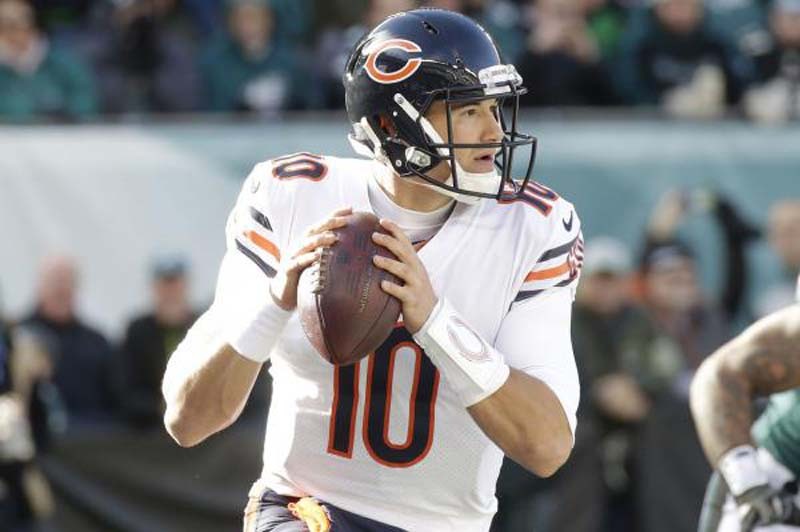 "For us, it's just taking it one day at a time, control what we can control and be the best that we can possibly be for the Chicago Bears," Trubisky added. "Again, it's just taking it one day at a time. We can't get ahead of ourselves or jump ahead on the schedule. We've got to try to be 1-0 each week and focus on each opponent, and we know what kind of talent we have in this locker room, and I think if we believe in each other, continue to buy into coach Nagy's plan, that we can contend with anybody. "You guys know that's how it is in the NFL: Anybody can win week in and week out. It's all about how you prepare, how you execute and who buys into the plan. Looking forward to it. We know we've got a very tough division, but it's going to be a great challenge for this team. I just like the mindset we have going into this season."